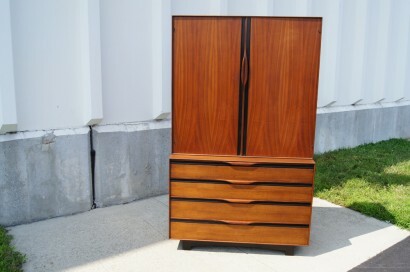 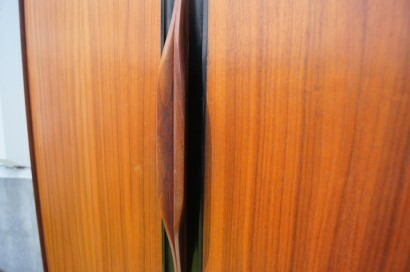 This tall walnut chest was designed by John Kapel and manufactured by John Stuart Inc. 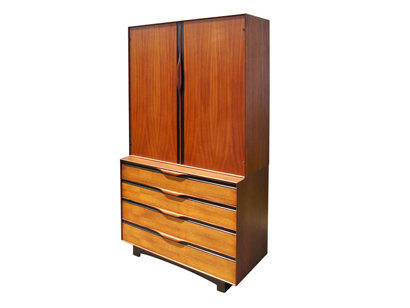 The chest is composed of two units: an upper portion that is 16″ deep and a lower portion that is 20″ deep. 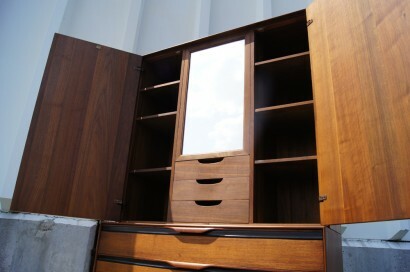 The upper portion features two doors that open to reveal three small drawers, ample shelving, and a mirror. 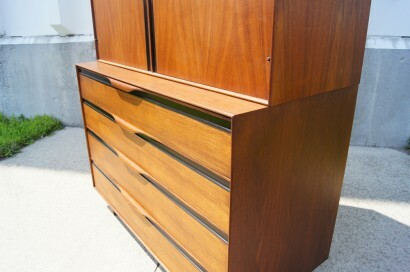 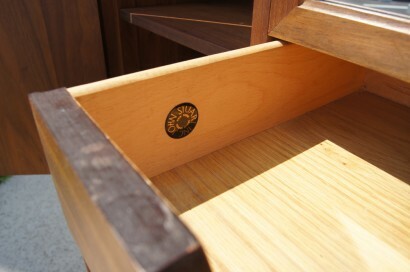 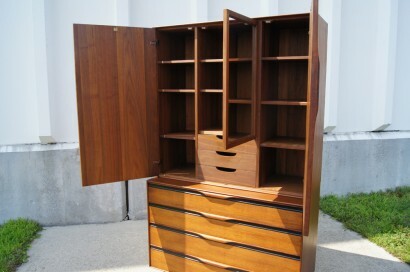 The lower portion features four large drawers with multiple compartments. 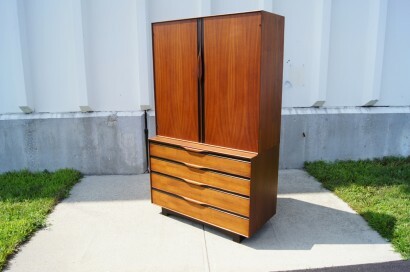 Corresponding dresser and pair of nightstands also available.